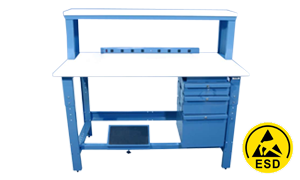 Get your production in line with our durable, affordable industrial workbenches. Keep things running smoothly on the production floor without sacrificing quality—or your budget. 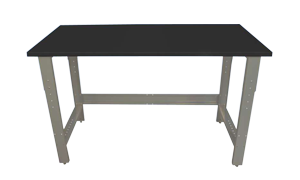 Upgrade your entire facility for less with our durable, fully customizable line of workbenches. Confidence. All benches are covered by a 10-year warranty (lights excluded). Detail. Solid core, steel-reinforced top with rolled, ergonomic edge. Durability. Engineered to last with 13-gauge steel legs and welded joints. Flexibility. Adjustable heights from 30" to 36" in 2" increments. Options. Customizable designs with many optional accessories. Range. Each bench series is available in 15 different sizes. Resilience. Chemical-and scratch-resistant powder coat finish. 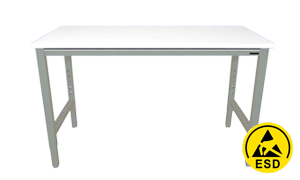 Ready to build a better workbench? Let's get started.